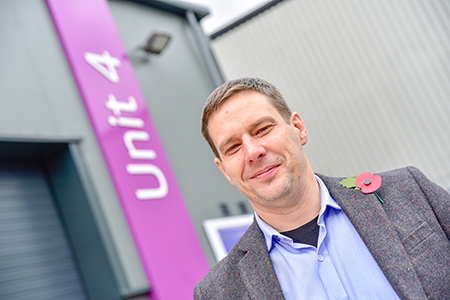 Cheshire West and Chester Council has invested in impressive new BREEAM Excellent workspace units in Winsford as it continues to encourage the borough’s thriving business community to prosper. 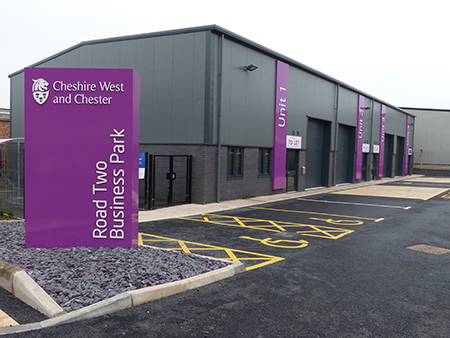 Councillor Samantha Dixon, Leader of Cheshire West and Chester Council, joined business leaders at the opening of the units, which are available for companies to lease on Road 2 in Winsford Industrial Estate. Cllr Samantha Dixon said: “Providing workspaces like this is a key component of what we are doing as a Council to ensure Cheshire West and Chester is a great place to do business and maintain a thriving economy. This includes providing locations from which to do business. “The ‘Support and Workspace’ project is providing workspaces in three locations across the borough: Road 2 in Winsford, Duttons Business Centre in Northwich and Dee View Trade and Business Park on Bumpers Lane in Chester. Among those present was rail vehicle engineer Nich Walker who runs Smart Rail Services Ltd, which is the first tenant at the Winsford Units. Smart Rail Services Ltd is a rail engineering consultancy which has been manufacturing parts for the rail industry for ten years. The company also produces fuel consumption meters for rail vehicles. Nich said: “This unit is the stepping stone to us moving from being a small company into a medium sized company and potentially bringing in additional people. Without having something like this at an affordable price, I would have been stuck. “The biggest hurdle to helping clients is not having anywhere to bring them. Having the unit here allows me to progress with the big orders we anticipate coming in over the next two to three years and gives me a base where clients can come. “We now have an office and a workshop, which is so close to the railway station, where I can bring people and I can show them what they are going to get. We are in such a good position for transport and rail services and we have a decent road network. This part of Cheshire is really ideally suited for businesses. The project has been part funded by the European Regional Development Fund, together with the Cheshire West and Chester Council’s Property Reinvestment Programme. Businesses can find out more about accessing support by contacting business@cheshirewestandchester.gov.uk.